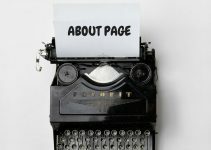 Have you been publishing amazing content, following other people and pinning consistently only to attract embarrassingly little traffic to your website? If this has been happening to you, you are not the only one. And you shouldn’t get discouraged. Instead, what you could do is implement the right Pinterest strategy which will drive huge traffic (social and ORGANIC) to your website. Pinterest still remains the second largest driver of traffic after Facebook. As Mashable so clearly put it: “When it comes to referral traffic from social networks, there’s Facebook and Pinterest – and then there’s everyone else”. 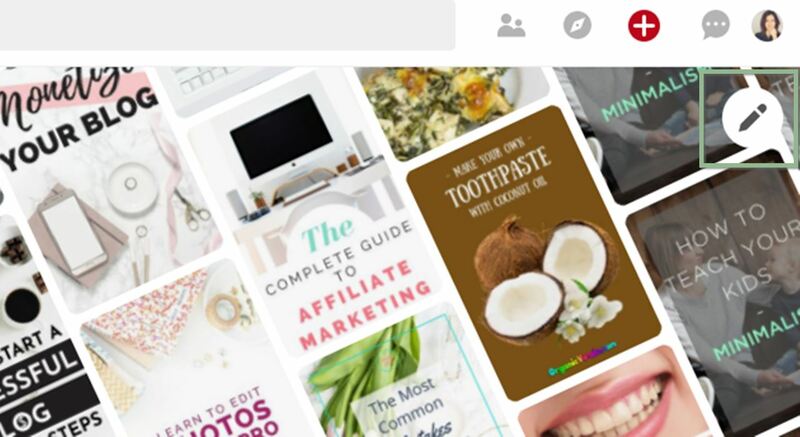 How can you leverage the traffic-driving power of Pinterest? Pinterest has recently (April 2018) rolled out some major user interface changes. These updates are not only affecting how your profile looks, but also reflect the way Pinterest wants us, bloggers and brands, to work on their platform. In this post, I’m going to cover these recent changes and tell you how to develop your future Pinterest strategy with this knowledge as a background. At the end of the post I will also provide you with the most up-to-date hacks that you can apply straight-away to drive more traffic to your website. The actionable tips at the end of the post could shape YOUR winning Pinterest strategy in 2018! Should you chose to apply them. I’ve been using Pinterest since 2012 when it was just another social media tool – much like Facebook and Instagram. Years ago, you followed people if you liked their feed and their pins showed up in your feed in reverse chronological order – with the latest pins at the top. But you would only see the pins from people you choose to follow. Fast forward a few years and the platform grew into a multi-billion business. Its management decided on a new growth strategy and started transforming Pinterest into a search engine. In one their statements, the company said that its growth potential depends on improving its product to match people with images that reflect their interests and inspire them. Back in 2014, they added a search bar where you can search topics of interest, which I find pretty cool. They also changed the home feed and started using complicated algorithm to determine what they think you want to see, based on your pinning habits and search history. Suddenly when you logged onto your Pinterest, you started seeing pins from a bunch of people you never chose to follow. Their strategy makes sense, I get it. This was a way for them decentralize influence away from their “power pinners” – those curators with hundreds of thousands of followers. It also gave them way more control when it comes to feeding users more paid-for content and caused a lot of annoyance in users. April 2018: Did Pinterest Listen To Us? The changes that were introduced earlier this month are directed towards business users. 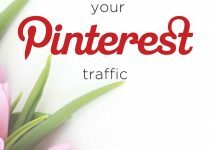 If you want to use Pinterest to drive traffic to your website or as an advertising platform and you still haven’t switched to a business account, you should do that straight away. So what changed recently and how does that affect you as a user? One of the biggest changes that Pinterest introduced is the addition of a new following tab. By clicking on the new “People You Follow” tab, you’ll find a stream of pins from people and board you have chosen to follow on Pinterest—and nothing else. Like in the past, these pins will show in a reverse chronological order. The update comes at a time when people are straining against algorithmic influence on social media and also as a response to the criticism around Pinterest’s home feed algorithm. And it gives users back some control over their own feeds. You can see what you want, and that’s it. But at its core, Pinterest isn’t a social media platform; it still remains a search engine. I would like to think of this new feature of something more like a visual RSS feed. It serves up the content you’ve subscribed to and presents it in the order it’s created. The next important change that was rolled out is the addition of a new activity tab. 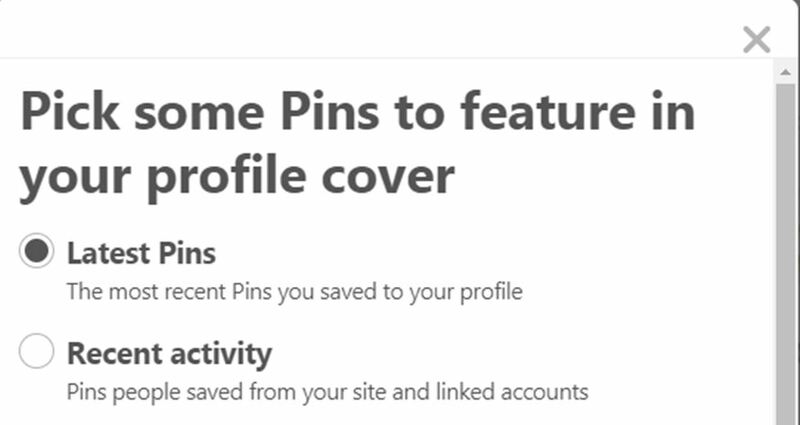 Your activity tab shows all the pins which were saved from your site by other Pinterest users. I think that this is something that every blogger or marketer should pay special attention to. On this new tab, you can see which images get the most repins and create your new pins with this knowledge in mind. Mind you, that the most useful details, such as the Pinterest name of the person who saved your pin and the number of repins, are only available on mobile. Not sure if they would eventually roll it out for the web. I could also well imagine, that some bloggers may want to keep this information private. You have the option to remove the Activity tab. In such case, it would still be visible to you but not to anyone else. 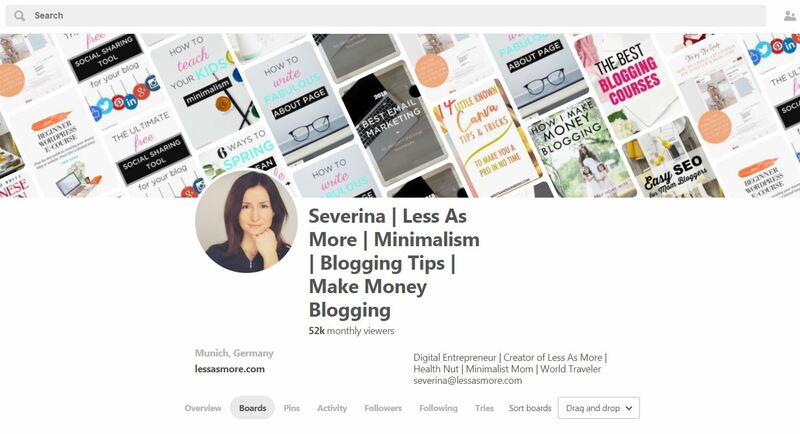 The change that stirs a lot of discussions by bloggers is that in the new profile look, your monthly views take a central place on your profile and are now available to everyone. Monthly viewers is the total number of Pinterest users who saw your Pinterest profile in the last 30 days, and this number is always rounded. This change has been a lot on my mind over the past couple of weeks. For a first, it is a conceptual change. They don’t want us, users, to focus on growing followers that much. They rather want us to produce more content and focus on our reach. The last change that I think is worth mentioning doesn’t have any impact on your strategy but is here to satisfy your design aspirations. Yep, Pinterest has a new profile look, and it’s pretty awesome! It is sleek and more modern than before with multiple tabs, allowing you to showcase your pins and boards in a much nicer and streamlined way. Latest Pins: you can choose to have your recent pins displayed in the showcase. This is the option that I am using. Recent Activity: you can choose to have pins from your recent activity displayed. These are the pins people saved from your site and linked accounts. The pins from one of your boards. Go to ‘or pick a board’ and select one of your boards that you would like showcased in your banner. You have stayed with me to the end, here we come to the most exciting part. 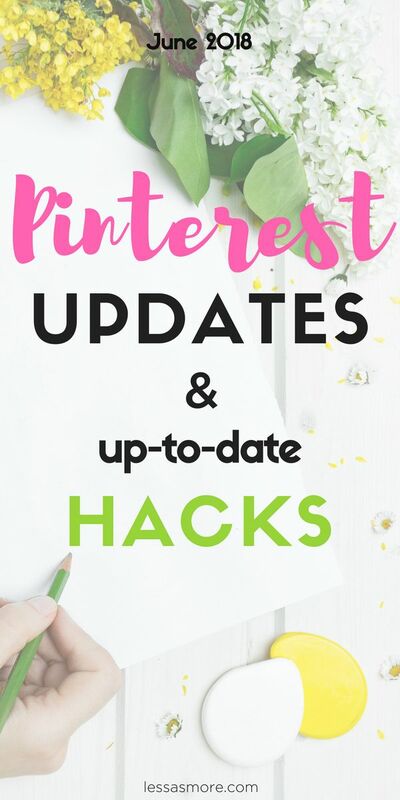 Do you now want to get the most up-to-date actionable tips you can apply to drive more Pinterest traffic to your blog? This is super helpful! I noticed that all my stats went wonky last week, and then my profile got updated, so a I assume there was some algorithm tinkering going on. I love your point about monthly viewers being listed on the profile now emphasizing the importance of reach over followers. My account is fairly new, so I have under 100 followers but over 50k monthly views, which has been heartening. Thanks for the tips! Great article with lots of things new to me! Will follow your advice. Thank you so much. Hi Martha! I am glad you found the tips useful. Good luck and thanks for stopping by :-)! I had recently seen the changes in Pinterest, but hadn’t had the chance to sit down and really check everything out yet. I love that I found this post, it helps a lot. Thank you! This is really helpful, thank you! I’ve been wanting to up my Pinterest game, but I wasn’t sure where to start. I’m definitely pinning this post! I definitely need to utilize Pinterest more. Thanks so much for sharing! This has been really helpful cause I have been struggling. I’m gonna try this. These a great tips and very helpful to Pinterest users! Thanks for sharing ♥️ ♥️ By any chance you are interested on doing collaborations, you can check out the collaborations portal of Phlanx.com and connect with amazing brands! 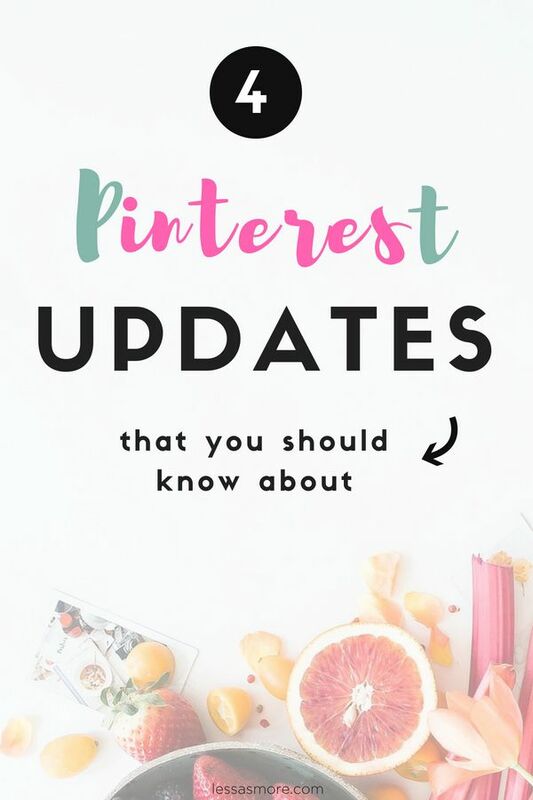 I noticed this Pinterest update – but I never even thought it could affect the algorithm. I ‘m so impressed with this post. This is a very awesome article.